Jacob Daniel Jacobsen, the father of future Head Librarian Karl T. Jacobsen, was born in Norway on July 16, 1842, and died on April 1, 1881, in Decorah. His parents brought him to the United States when he was a year old. Jacobsen’s early academic career was active but unconventional. He was one of the original three Norwegian students who came to study at Concordia Seminary in St. Louis in 1958. Here he came into contact with Laur Larson, who at the time occupied the seminary’s Norwegian Lutheran professorship. 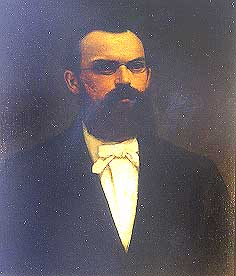 Several years later in 1863, Larson called Jacobsen to the fledgling Luther College as a substitute teacher for the expanding curriculum. 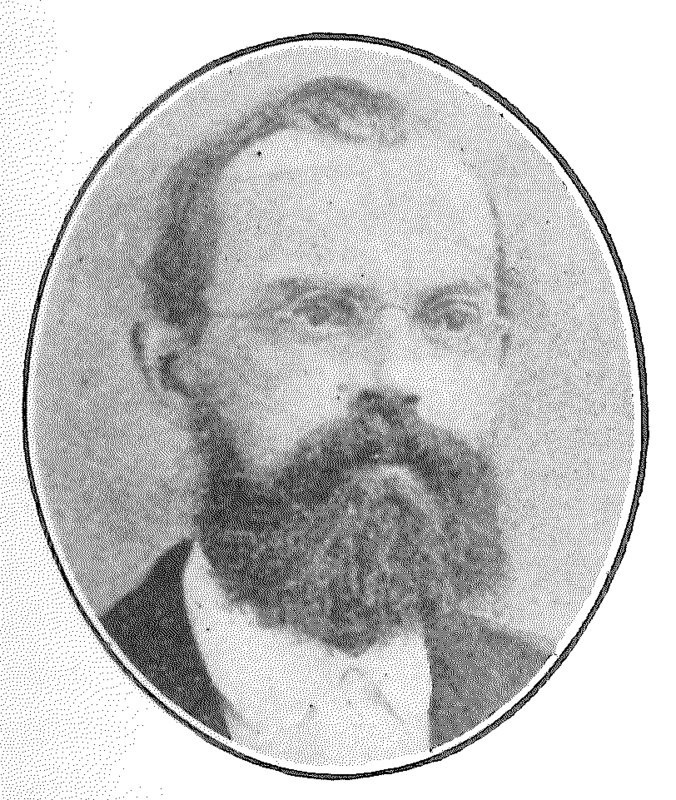 While it was not uncommon for Larson to employ advanced students as teachers for short periods of time, Jacobsen’s short-lived but full-time appointment made him the first Norwegian- American educated in America to teach full-time at Luther College, as well as the (temporary) third official member of the Luther College faculty (the first two were Larson and F.A. Schmidt). Jacobsen’s teaching duties lasted for three months (Sept. 2 – Nov. 1), when he instructed classes in Latin, English, mathematics, Greek, German, geography, and penmanship. He was relieved of duty when his official replacement, Professor Lyder Siewers, arrived to fill the niche. After Siewers’ arrival, Jacobsen stayed at Luther College for a year as a student, before moving on to receive his A.B. degree from Concordia College in Ft. Wayne, Indiana, in 1867. From there, he returned to Concordia Seminary to receive his Candidate of Theology degree in 1870. He then spent two years as a Lutheran pastor in Koshkonong, Wisconsin. In 1872, Jacobsen returned to Luther College as a teacher once more, and was appointed to the Professorship of Ancient Literature and Classics. While he specialized in English and Latin, he also taught courses in German, Greek, logic, mathematics, religion, and Hebrew. He was notably accomplished in languages, being fluent in English, German, and Norwegian. His revision of an English translation of the Augsburg Confession was well received. Jacobsen served as College Librarian beginning in 1874, and is often given credit for the formation of Mimer Library, the collection of a student reading society attempting to expand the college’s collections along wider cultural lines and beyond basic reference works. The collection, which would grow to about 900 volumes, would later be donated to the library in 1889. The first book-selection committee for Mimer Library consisted of Jacobsen, O.G. Fellund, and two students. During his service at Luther College, Jacobsen was active in the campus community. He was the first faculty member who frequently and actively worked to improve the physical appearance of the college, directing groups of students to clean and beautify the campus. In addition to being College Librarian, he also served as secretary for the Board of Trustees beginning in 1876. Jacobsen held both titles until his early death in 1881. Ref: Nelson, David T. Luther College, 1861-1961. Minneapolis, MN: Augsburg Publishing House, 1961; Norlie, O.M. et al. Luther College Through Sixty Years, 1861-1921. Minneapolis, MN: Augsburg Publishing House, 1922; Obituary, Decorah Republican, April 7, 1881; Luther College Archives; Malmin, Rasmus et al. Who’s Who Among Pastors in all the Norwegian Lutheran Synods of America, 1843-1927. Minneapolis, MN: Augsburg Publishing House, 1928.